Risen Favorites is a monthly series featuring Risen staff member volunteers who wish to share some of their favorite things from a given month. Topics can include anything from favorite places to favorite photos, favorite teas to favorite soaps. In January, we're covering foods, music, books, and more. Enjoy! Healthy AND fun eating in January, 2017!! Hi! I’m Sam. One of my goals for this year is to eat a lot healthier. Currently my breakfasts often consist of toaster waffles or chocolate protein shakes, which are great and all, but most likely not for my body. My meals throughout the day are usually much better, but sometimes a little slip can lead to eating one too many cookies, snacking too heavily, or becoming frustrated with habits or lack of options. My goal: make snacking healthy, but enjoyable while still getting full. Getting home from school every day after having hours between lunch and the final bell presents a difficult challenge unto itself. I. Am. Hungry. The question usually isn’t if I’m going to pick something up, but what is it going to be. For me, keeping sustained is an important part of anything. From undergoing lengthy those activities and myself run that much harder, and that much better. In this spirit, I’ve taken on a multi-part, protein packed initiative to stay full, and stay working. The following are just a few of the hearty, healthy snacks I’ve taken on with this mission in mind. Please enjoy and remember, if you’re hungry, you always deserve to eat. You just have to give yourself balance and ensure that you’re supporting your system, not working against it. (And a double fudge brownie here and there may not be the worst thing for yourself. First, I’d like to introduce the almighty hummus. This Mediterranean dip is a valuable secret I was not informed of until early last year, when I first tried it and fell in love!! On bagels, cucumbers, in omelettes, or on (my favorite) Triscuit crackers, this savory, flavorful spread is a sure way to beat peckishness and a hangry mood at the very same time. All it is is ground-down chickpeas and spices! These little brown legumes are a great source of protein and have a fantastic flavor. Next up is Siggi’s Icelandic Skyr. Skyr is a thick, rich yogurt that the Icelandic have been churning for hundreds of years, and just a couple of years ago, it made out of Siggi Hilmarsson New York kitchen, and onto the national stage. A warning to all new Siggi’s investigators: this yogurt is not like Yoplait, Activia or other similar brands that carry sweet, light mixtures with bright color. 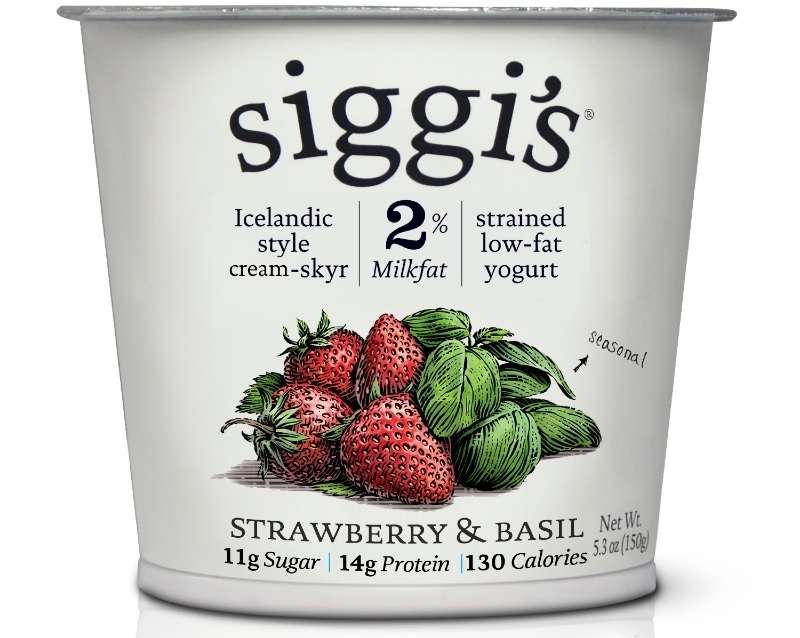 Siggi’s carries a strong taste light on the sugar, and although fruity combinations are certainly available, the recognizable skyr flavor is present across the board. If you enjoy plain Greek yogurt, or on a wider range, the flavor of plain frozen yogurt, you’ll certainly enjoy their better, nicer packaged twin: Siggi’s. While this year I’m claiming to bring healthy eating to the forefront, I am certainly not perfect, and will have cracks in my system. The first crack of 2017 lies on Brookstone Gardens’ chocolate covered blueberries, of which one can buy a 21 oz bag at Costco and chow down on the entire bag under a warm blanket, watching Crazy, Stupid Love. The strategy I’m going for is small handfuls. I recognize that I sometimes just want something sweet, no matter how healthy I’m striving to be, so getting seven or eight of these little chocolate spheres, which have known health benefits on both the dark chocolate and blueberry level, doesn’t keep me conflicted too long before I’m enjoying them. Cece: On one particularly hard night, I went searching for a movie on Netflix to distract myself, and I stumbled upon “Extremely Loud and Incredibly Close.” After reading its' description I was immediately drawn towards the film. The movie, which is based on a novel by Jonathan Safran Foer, centers around a young boy named Oskar living in New York City, who lost his father in the terrorist attacks of 9/11 and searches to find the “message” that he believes that his late father has left for him. In the end, Oskar ends up traveling all over NYC, meeting tons of new people and learning of their stories while looking for the message. The movie touches on topics such as insomnia, anxiety, depression, and more, all of which Oskar struggles with after his father’s passing. Watching this movie was an extremely emotional experience for me, seeing these things that affect me portrayed so accurately in a film really touched my heart. I recommend this film to anyone and everyone wholeheartedly. KEVIN ABSTRACT - EMPTY: This music video opens with a curious visual: a close-up shot of a boy, his eyes rolling back in his head as his eyelids flutter. The song starts to play: “Sweaty palms as I walk down this empty road / I got a mom but we ain't spoke and I don't know / I had a heart that don't speak to me anymore / And life gets hard but these last days mean many more” –lyrics that are rapped, but almost spoken, in a monotonous tone over a steady piano chord progression. He tugs at his helmet and lets his head lean back. “And I'll be / Right outside your front door on my 12 speed / I got your emotions tattooed on my sleeve” Abstract’s voice rings out as he switches from his previous repetitive tone to one with emotion and feeling. The scene cuts to a wide shot, and we see the boy sitting on a bed, with the head of a brown-haired boy dressed in a football jersey bobbing up and down over him. The video continues from there, filled with nostalgic vibes, teenage drama, and a Stranger Things-esque setting. If you want to support a black, gay rap artist with a creative vision and great music, watching “Empty” by Kevin Abstract is a great way to do so. Dounia Tazi- East Coast Hiding: Dounia Tazi dropped this long awaited single on January 9, 2017. Hailing from New York herself, she talks about her life and experiences there like “F-train ridin’”. Like most of her songs, the lyrics tell a story combined with her soft and lullaby-like voice, which make for an amazing track. 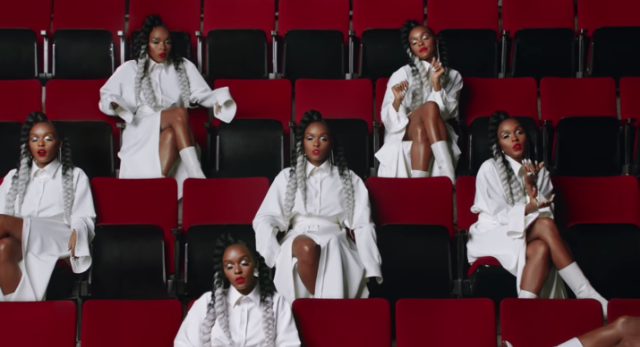 The beat gives off a soft and synthy vibe with subtle beat drops that go perfectly with the story being told. She catches the listener's attention with her relatable lyrics like, “I’m just closin’ my mouth/ Cuz when I talk, talk, talk, I just f*ck, f*ck, f*ck it up/ Yeah I over think, I’m so over slippin’ up” The song then goes on to describe a carefree life with lyrics like “But it’s fun/ But I’m having fun/ If you want dramatics then I surely ain’t the one”. Much like her other songs, this one can resonate with anyone from any background and almost resembles a feel-good kind of song. This long awaited track from Dounia definitely did not disappoint. If you would like to hear more music from her, she’s on Soundcloud at @douniatazi. Be on the lookout for more music from this avid feminist and activist soon. A common new year’s resolution for many people is to “find yourself” in the year to come. I promised myself in late 2016 that I would dedicate the year 2017 to exploring creative outlets and working on self-improvement. By reading, writing, drawing, and doing more of what I love more, I hope I can garner a greater understanding of who I am. It feels as though it had been fate that I found this book at Barnes and Noble while looking for another book that I had initially intended to buy. The Book of Me by Rachel Kempster and Meg Leder is a fun, quirky, do-it-yourself activity book that would intrigue any doodler, creative writer, or dreamer. Recently published in August of last year, is filled with interesting prompts, questions, activities, and ideas that all revolve around you! All of it is done for the sake of getting to know yourself a little better as the book states, “Get to know the most important person in your life - you!” This journal centers on you and is perfect to cure moments of boredom or to simply provoke introspective thought. I take this book everywhere with me and whenever I find myself with nothing to do, I write in it. A book like this one makes a perfect gift for any person as its only goal is to cater to you. If you ever wish to recognize what kind of person you are, were, will be or just want to kill some time, this is the book for you. When in need of recovery from the trainwreck that was 2016, the Jeremyville 2017 Wall Calendar is the way to go. Here are some of my favourite Instagram and Tumblr accounts of this month. This account contains some of the most graceful candids and stills, and a lot of thought-provoking anecdotes on politics and justice. Reader submissions of their quirkiest fears are turned into playful comics by illustrator Fran Krause. “I am five feet tall. When I’m at the subway, I always wait at least six feet from the tracks. These cartoons, drawn by Emily McGovern, are funny and sweet, and definitely a nice way to unwind. She mainly draws the comic series My Life as a Background Slytherin, but also draws other unrelated (and equally cool) comics and pictures. Thanks for reading! Stay tuned for next month's edition of Risen Favorites, coming to you in one short month.